Staff and students of Bannister Academy came together for the Bannister Academy Outreach Activity. Bannister Academy Student Affairs Head Adrian Vincent Balagat has been partnering with Principal Salve Odono of Bagumbayan Elementary School in creating meaningful and purposeful activities for the students of Bannister Academy and Bagumbayan Elementary School for the past two years. This time Balagat partnered with Principal Odono for a school outreach held last December 12, 2019. 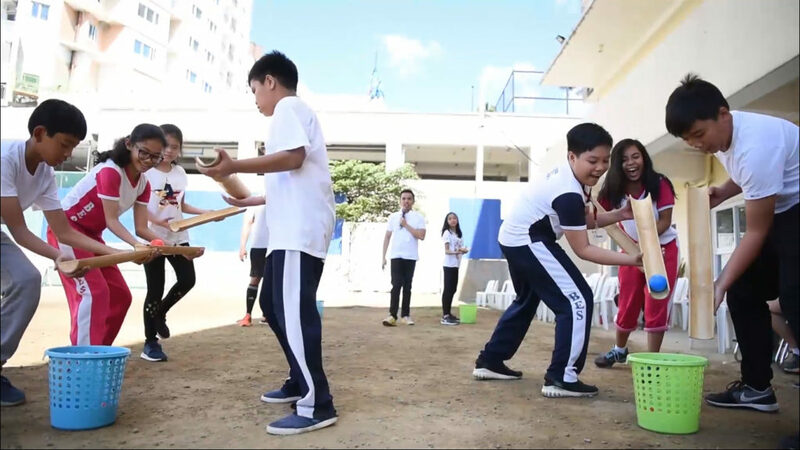 Various children from both schools played games inside the classrooms and outside the grounds, and they learned how to communicate and work as a team. There were also interactive discussions and games, and students had the chance to exchanged gifts with their student partners. The Jollibee mascot also went and joined in with the fun, performing for students and serving delicious food to the children. The mission of the activity was for Bannister students to learn the value of sharing, to learn how to be compassionate, and how to socialize with people from all walks of life.